Speaking of best things the game has ever seen, Alarak has been added as an announcer pack. 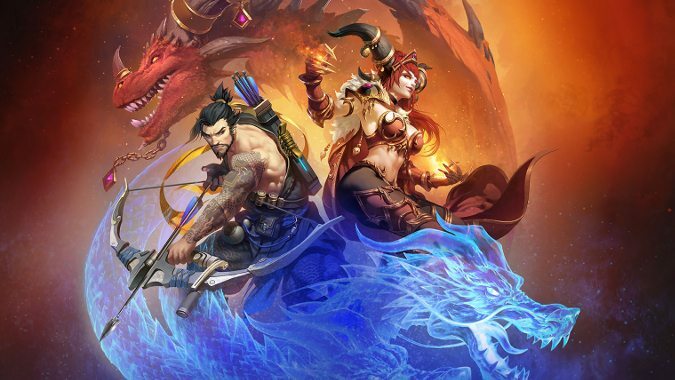 Beyond all of that, this patch also marks the beginning of Heroes of the Storm’s Dragons of the Nexus event, celebrating the release of Alexstrasza and imminent release of Hanzo. The rewards include an array of cool portraits, all of which can be earned in Versus AI, Quick Match, Ranked, or Unranked play. The event runs through December 12, whereupon we’ll likely see Winter Veil kick off in the Nexus, though that event is thus far unannounced. Remember, as of Alexstrasza’s release, Heroes of the Storm is changing how it handles launch skins and bundles for new heroes. A hero’s launch skin — in Alexstrasza’s case, the Dark Queen skin — can only be purchased with gems. Launch skins will not be found in Loot Chests, nor can they be crafted with shards. If you’ll be playing Alexstrasza today, enjoy bathing your friends in cleansing flame!